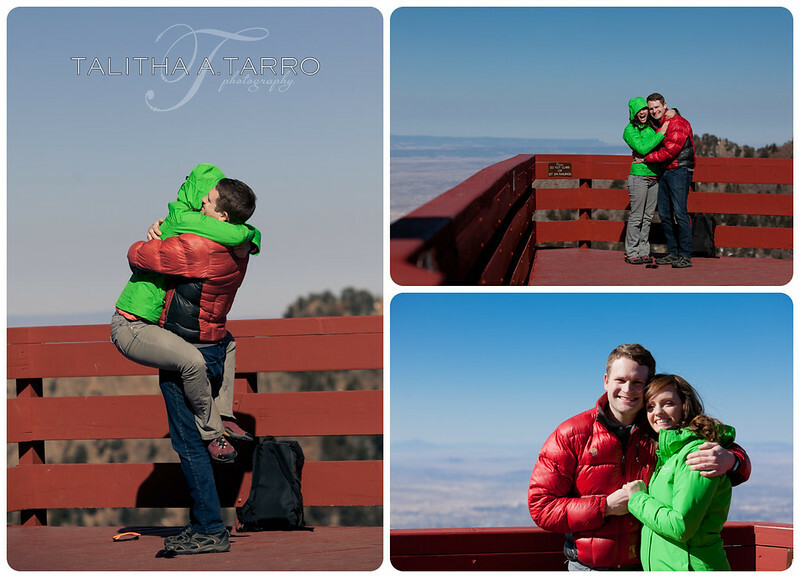 In late March, I had the absolute honor and joy of being the creeper with the camera to capture a proposal high atop Sandia Peak. I got a call from Tyler a few months prior telling me of his plan to bring his soon-to-be fiancee with him for a weekend trip to Albuquerque. 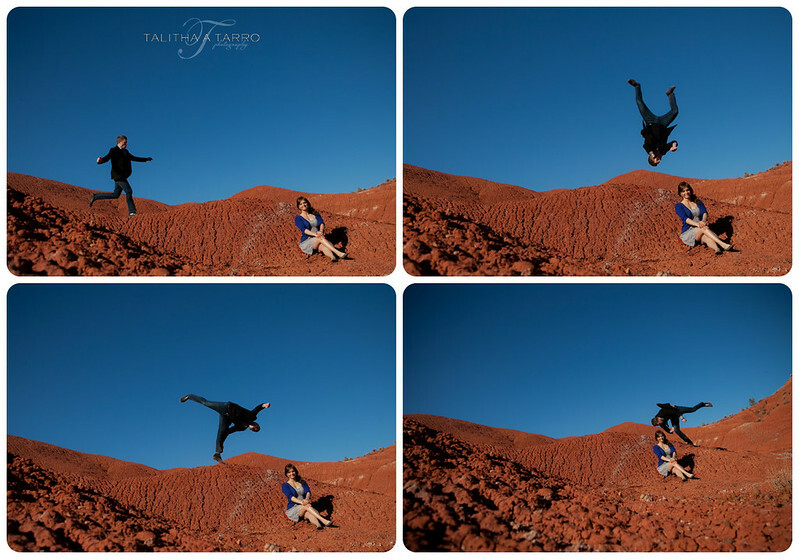 He had initially wanted to schedule an engagement session surrounded by New Mexico’s stunning landscapes. However, after he told me his plan to propose….it was just meant to be that this had to be photographed as well. 🙂 I started early one frigid Sunday morning to ride the Tram with Tyler and Alexia to the top of the crest. I knew that I had to be careful as to not attract the attention of Alexia who had no idea I was there to photograph these two during such a special moment. We rode the tram and I followed them off of the tram car and over in front of High Finance Restaurant. Tyler immediately walked with Alexia over to the lookout point and with his best stealth moves did a quick check to make sure that I was somewhere near to capture what might happen. I did my best to photograph the scenery at the crest – although let’s be honest, who uses a 70-200mm lens to photograph the view of the city from Sandia Peak at 9am? Rather than telling you all about this special day with Tyler and Alexia, I will go ahead and post the images. Thank you for allowing me to photography such an awesome moment in your lives! I have to give it to Tyler and Alexia because it was absolutely windy and so so cold on this day but you can hardly tell from their photos.